this has to be one of my favorite photos I've ever taken. This was actually a "setup" photo that I was doing to check exposure and framing of the bridge. I wanted to actually get the bridge with as few people as possible. But once I saw how this image turned out I feel in love with it. 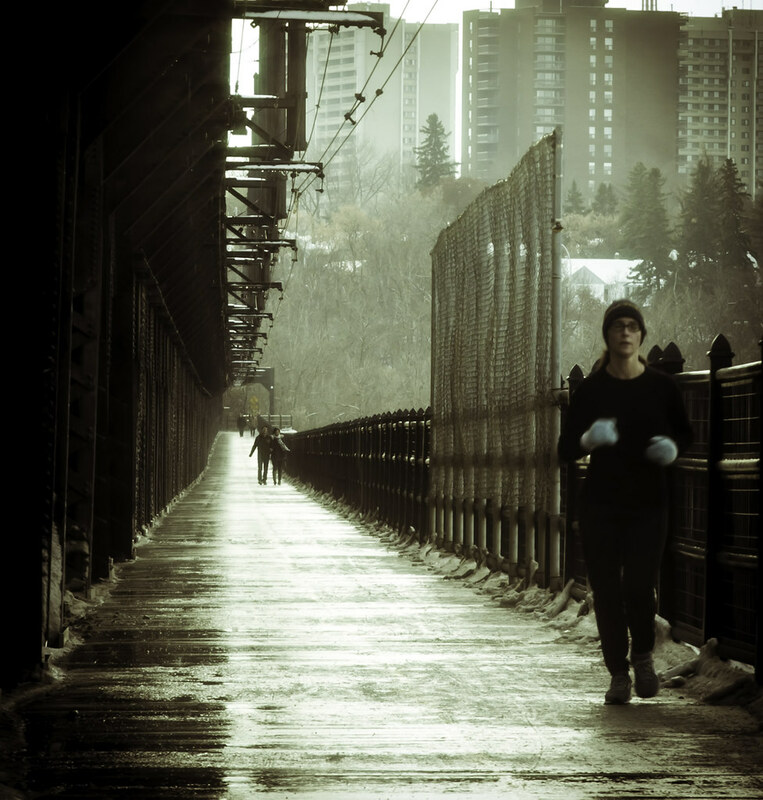 To me its just about how it doesn't matter how cold it is, or what the weather is like, sometimes you just need to go for a run. I like the tones. Both gloomy and film-ish. And some may say the runner is too far in the edge, but you know what, for some reason it works so good on this photograph. Love the line, and like Migno said above, the gloomy and film-is feeling.